Todd returns to the DIY approach of Something/Anything? for his best collection of songs since, well, Something/Anything? Kronomyth 8.0: Hollow, it’s me. After two albums with Utopia (Ra, Oops! Wrong Planet), Todd returned to the DIY-lightful setting of Something/Anything? for his best album in years, Hermit of Mink Hollow. Despite labeling sides one and two as “easy” and “difficult,” the only difficulty you’ll encounter on this album is deciding which side to listen to. At nearly every turn, you’ll be reminded of Todd’s double-album magnum opus: “You Cried Wolf,” “Can We Still Be Friends,” “Determination” and “Onomatopoeia” all have their predecents in that work. Faithful showed that Todd could make half a normal album if he wanted to; Hermit carries that idea to its logical, full-album conclusion. The second side does deal with more difficult subject matter and employs slightly pricklier production, but it’s a cake walk compared to the experimental sides of Todd and Initiation. If you find yourself with some time on your hands, it’s fun to play match-game between this album and Something/Anything? “You Cried Wolf” sounds a lot like “Wolfman Jack,” “Determination” sounds like “Couldn’t I Just Tell You,” “Too Far Gone” like “One More Day,” “Can We Still Be Friends” lines up with “Marlene” and so on. The interesting thing about Hermit of Mink Hollow is how little has changed, even after all the weird experiments, quasi-religious concepts and utopian adventures. One thing that seems like a new wrinkle to me is the dramatic tone of the second side, which almost feels like the the parts of an incomplete musical, one of the few frontiers that Rundgren had yet to explore. I’m surprised someone hasn’t tried to create a musical around the music of Todd Rundgren since then, but with the success of Beautiful, can Swami Todd be far behind? Todd Rundgren (all vocals and instruments). Produced by Todd Rundgren; additional engineering by Mike Young. Released on elpee, cassette and 8-track in April 1978 in the US and Canada (Bearsville, BRK/M5W/BEAM8 6981), the UK (Bearsville, K 55521), Japan (Bearsville, P-10481W) and the Netherlands (Bearsville, BEA55521) with lyrics innersleeve; reached #36 on the US charts and #42 on the UK charts. 8-track features different track order. Re-released on remastered compact disc in 1988 in Japan (Bearsville, VDP-28024). Re-packaged with Runt on 2-for-1 2LP, cassette and 2CD in 1988 in the UK and France (That’s Original, TFOLP/TFO 3 1/2). Re-issued on virgin vinyl elpee and compact disc in the US (Rhino, RNLP 70871). Re-issued on compact disc in 1992 in Germany (Castle, CLC 5085 CM). Re-released on remastered compact disc in 1998 in Japan (Bearsville, VICP-60264). Re-released on K2 remastered compact disc on June 25, 2008 in Japan (Bearsville, VICP-64213). Re-released on super high material compact disc on March 18, 2009 in Japan (Bearsville, VICP-70065). 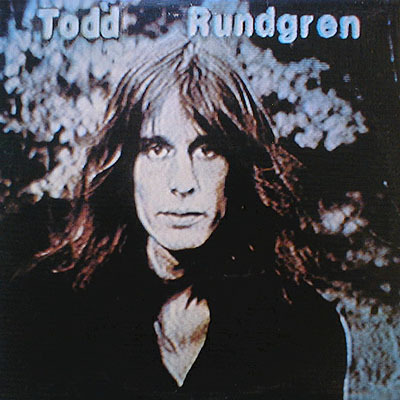 Re-packaged with Runt, The Ballad of Todd Rundgren, Faithful and The Ever Popular Tortured Artist Effect on 5-for-1 5CD in 2010 in the UK (Rhino). Re-packaged with Healing and The Ever Popular Tortured Artists Effect on 3-for-1 3CD in 2012 in the UK (Edsel/Bearsville). Re-released on 180g vinyl elpee in 2013 in the US (Friday Music).